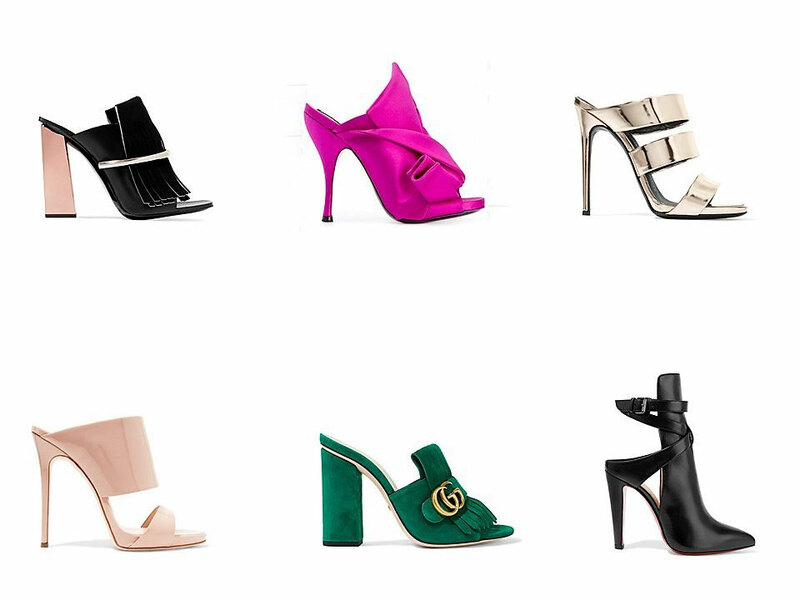 I think I mentioned it a few times, but for those of you who are new to my blog, I say it again - I am a sucker for heels. Heels always fit. They make you look slimmer and amp up every outfit in no time. Lately, I got my eyes on Mules. Mules are backless shoes and often closed-toed and come in every heel height from flat to high. They have been around since the 18th century, but it took until the 1950s for their fashion breakthrough. It was none other than Marilyn Monroe who made the Mules a fashion must-have. What I love about Mules is, that they work with every look whether your wear jeans or a more elegant outfit. Mules just add that extra something to the look. I definitely want to add a pair of Mules to my collection. Of course, I want some high-heeled ones. Not too pricey, considering the Mules trend probably just lasts for a few seasons. Unfortunately, the ones I like so far are all a little bit up in price - so, I have to keep searching for my perfect pair of Mules. Until then, here are my favourite styles so far. Oh, and if you come across some affordable yet awesome high-heeled Mules, please tell me where I can purchase them?